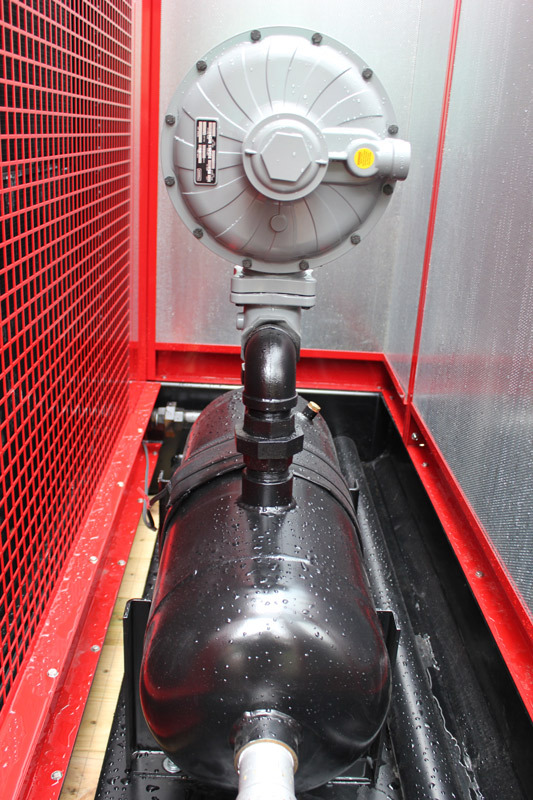 Our oil and gas generators can server as prime power or continuous power generators. 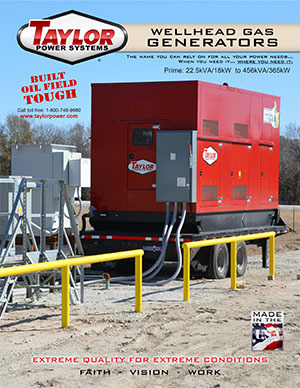 Prime power generators can be defined as having an "unlimited run time", or essentially a generator that will be used as a primary power source. 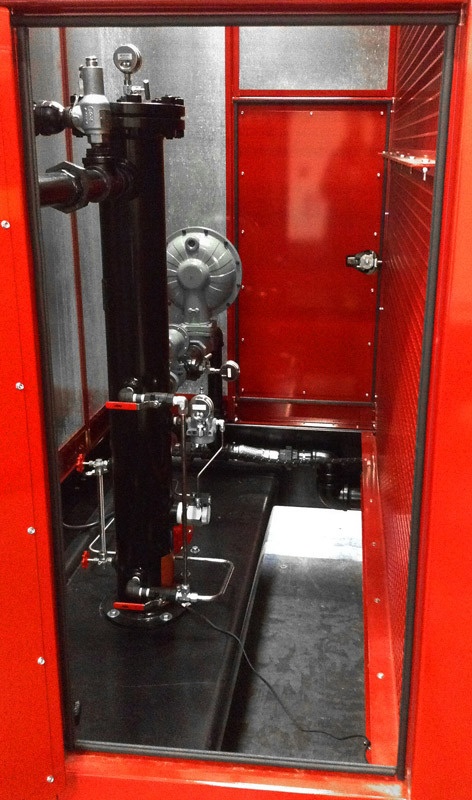 A prime power rated generator can supply power where there is no utility source. Continuous power is similar to prime power but has a base load rating. It can supply power continuously to a constant load, but does not have the ability to handle overload conditions or work as well with variable loads. The main difference between a prime and continuous rating is that prime power generators are set to have maximum power available at a variable load for an unlimited number of hours, and they generally include a 10% or so overload capability for short durations. 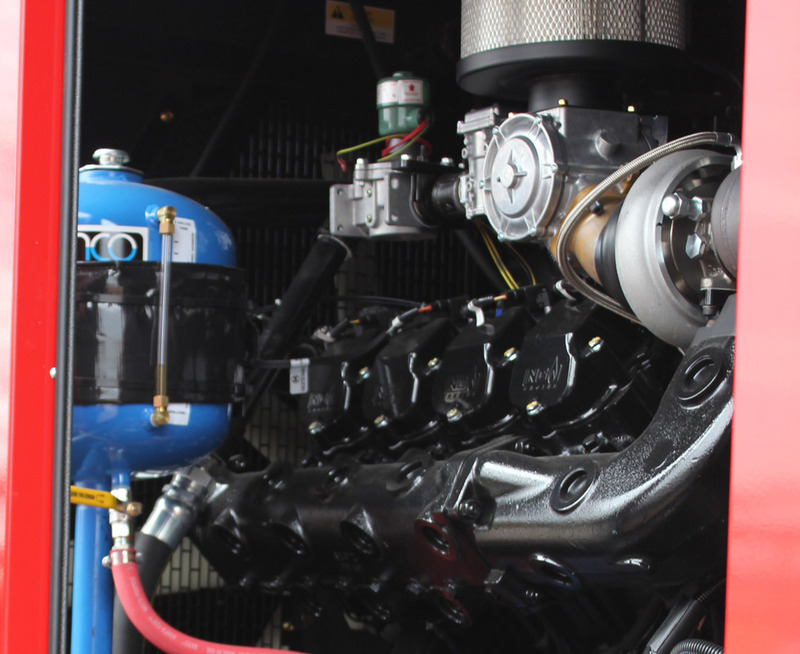 Taylor Power has developed this generator for the oil industry that actually is fueled by the waste gases generated from the drilling process. 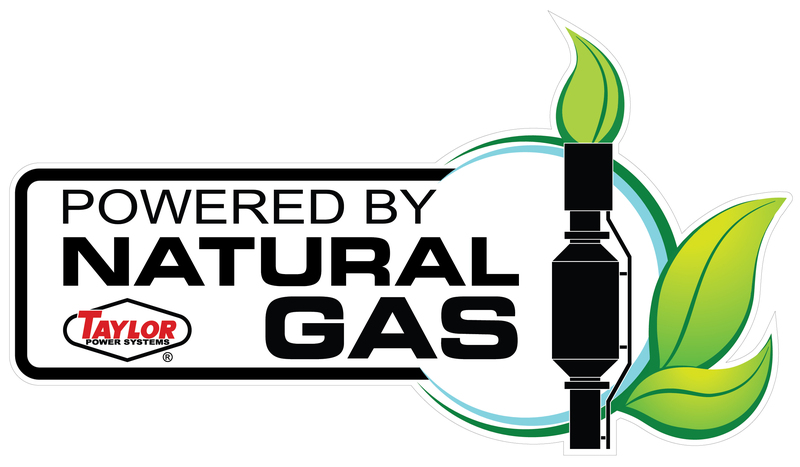 Now instead of just burning off the waste gas, Taylor Power generators capture these gases and puts them to work.